Stannis Baratheon strode forward like a soldier marching into battle. His squires stepped up to attend him. 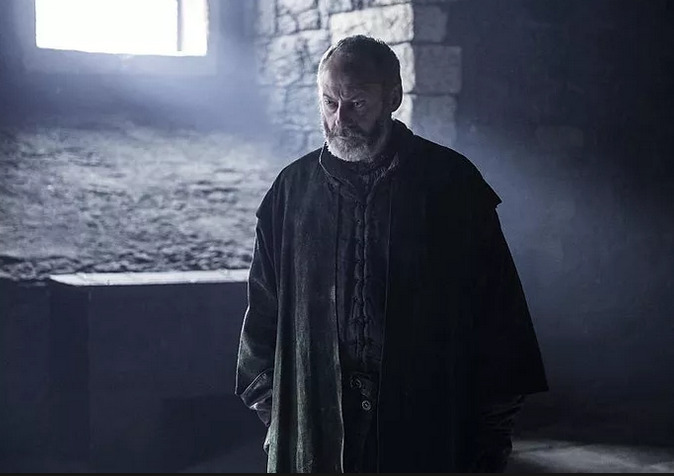 Davos watched as his son Devan pulled a long padded glove over the king's right hand. The boy wore a cream-colored doublet with a fiery heart sewn on the breast. Bryen Farring was similarly garbed as he tied a stiff leather cape around His Grace's neck.